Hello! 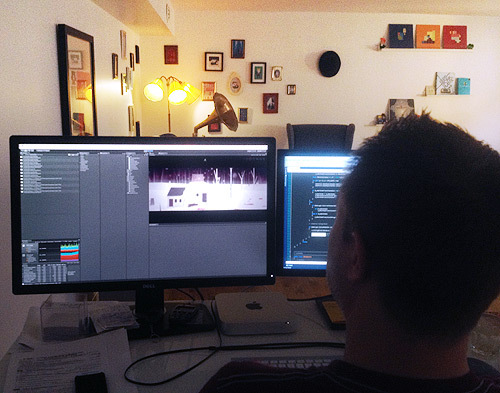 Just a tiny update of how the work is going with the pc/mac/beep-bop/steam-version of Year Walk. Last week was the first time we could play the game from start to finish, with all the puzzles and new menus 100% done. It’s a really nice feeling to be able to get the full picture of the game. While it still is and feels like Year Walk, the feel of the game is somwhat different now with the new controls and everything in the companion contained within the game. But, we’re happy to report that it feels great and natural. It doesn’t feel inferior, or much like a port at all. It is it’s own thing! It’s quite hard to explain, but basically we think our decision to not make a straight port has paid off. Now with the added menus, map and hints and all that, we don’t think some well-thought out steam-achievements would feel out of place. So, if we can come up with some that we find interesting, and not just checklist type (“you completed the game, congratulations!”), we will probably add some. Maybe? We still have a few visual-touch, tweaks, optimisations and polish to make, but then it’s on to implementing steam stuff, testing testing testing and hopefully we can get back to you soon with a release date! Previous PostDEVICE 6 IGF nominated in four categories!Next PostYear Walk on Steam = March 6th! I recently finished Brothers A Tale of Two Sons on Steam and I think its handling of achievements is the best possible… Several achievements linked to optional ‘mini-puzzles’ within the game – for instance, SEMI-SPOILERS at one point in the game you find black rabbits running around a dead fire, followed by a sole white rabbit. You can take the white rabbit and drop it in the ashes, turning it black, and at that point the others start playing with it instead of running away. When you do so, you unlock an achievement. Said achievement’s icon and description subtly hint at what you need to do without giving everything away (I think it’s something like ‘Make the rabbits play together’) so you have to investigate, you can’t just go through the list and see a list of tasks to unlock them all. Really glad you guys decided on not making a straight up port and rather adapting it to the PC medium as it were. I am extremely happy that I will finally be able to play it on my PC and can’t wait to pre-order and see how it has changed. Thank you! 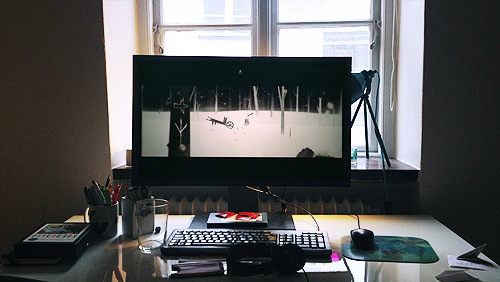 At least you’ll be able to compete with Tengami which I believe is being released on Windows and OS X! By the way, would be brilliant if you could make the controls compatible with the multi-touch trackpads on MacBooks and the Magic Trackpad!